Hope for a Child LBG is a company limited by guarantee incorporated and registered in Guernsey on 14th June 2007. We have 2 members, who are the shareholders and hold responsibility for good governance of the company. They interact regularly, formerly and informally, and meet on a 6 monthly basis to review the company’s activity. The members are responsible for appointing Directors. 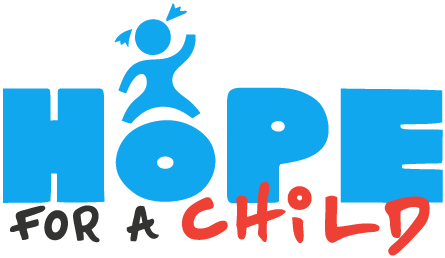 The Board is responsible for the overall day to day management of Hope for a Child, and for its governance and strategic direction, ensuring its objectives and programmes are in accordance with its Memorandum and Articles of Association. Financial and legal responsibility for the operation of Hope for a Child is shared amongst the directors. The Board is accountable to the Members. We have an advisory group, who meet every 2 months to discuss our activities and plans. They exist to provide advice, guidance and specialist expertise. They advise on all aspects of our operations, including governance, fundraising and project implementation. We try to maintain a broad and varied range of skills and expertise in the group. A key role of the Advisory Group is to prevent conflicts of interest. The Panel is accountable to the Board of Directors and holds no legal power over the company. Our financial statements are prepared in accordance with generally accepted accounting principles. Copies of a summary of our financial statements are available upon request. Our fund-raising appeals identify the purpose to which proceeds will be applied, and we ensure that donations are used for the purposes for which they were raised. Hope for a Child primarily provides expertise and training to enable communities to meet their own needs on their own terms. As a result a significant percentage of our revenues are spent on salaries. We maintain tight security on our mailing lists of friends and supporters, and never sell or rent our mailing lists to any third parties. Anyone subscribed to our email lists can easily opt out of receiving communications at any time.